I suppose it's worth mentioning how this all began. #1 After several years of living in LA, I became quite enamored with mid-century modern design and architecture. It just all began to make sense in the context of this city in ways that I couldn't quite understand back in architecture school. #2 I became interested in what Palm Springs had to offer as somewhat of a time capsule oasis and ventured out there for my birthday weekend in 2013. While staying at a very boutiquey, cool spot (The Desert Star), I had ventured across the street to the Ace to check out the food (and atmosphere) at King's Highway. While there, a group of people were dressed in (what I thought at the time was) some strange tiki garb. They mentioned to someone that they were attending an event called Tiki Caliente down the road. I didn't know what that was all about but I was certainly intrigued. #3 On that same Palm Springs trip, I wandered into Shag's shop while hopping from store to store in search of some interesting mid-century offerings. I realized that Shag was the artist whose work I had admired at Disneyland. I also immediately recognized that there's something about Shag's work that really appeals to me - especially the way in which he largely features mid-century modern architecture in this pieces. That same weekend was his "Daiquiris and Deviled Eggs" print release party so I decided to attend the event that evening because, why not. There was an open bar (and deviled eggs). I had my first Dark & Stormy. I was hooked. #4 At some point before or after this fortuitous Palm Springs trip, Trader Sam's opened at the Disneyland Hotel. The drinks were great, the mugs were fun to collect, the way the bar changed when people ordered certain drinks was way too cool, the food was more interesting than what the parks had to offer, and, most of all, it was a welcome tropical escape. Turns out, that's what tiki bars are all about. Turns out, tiki bars are my jam. #5 Adventureland naturally evolved into my favorite part of Disneyland. 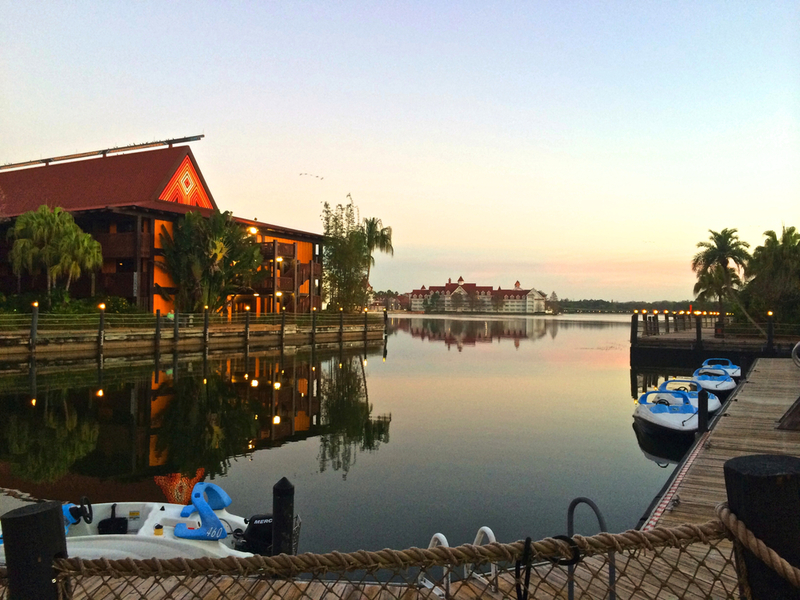 The Polynesian naturally evolved into my favorite resort at Disney World (oh, did I mention I have a slight Disney obsession too?). #7 And I guess it would also be important to note 60-hour work weeks with several opportunities to let my thoughts wander on flights back and forth across the country as well. See: notebooks filled with dreams of starting something along the lines of Modern Tiki Lounge (mid-century modern inspired products & furniture with a touch of tiki kitsch). And that brings us to now. At the end of 2014, I decided to resign from my position as Design Department Manager at a very interesting, talent-packed R&D think tank in favor of taking the leap towards starting my own design firm. I'm still in the process of getting everything established, continuing to develop inspiration boards, and determining my initial focus. It's all very exciting and I can't wait to see what 2015 has in store. This new business will definitely be an adventure - thanks for coming along!